They say the kitchen is the heart of the home and whilst I fully agree with that sentiment, it can be a tad tricky when you’re all squashed into a tiny flat and your kitchen is absolutely minute! That’s the challenge that we’re faced with where we’re living at the moment, but despite that, the kitchen is probably my favourite room in this flat, and actually the one where my OH and I spend a fair amount of time together. When the kids are staying with us they dominate our living room and so if we want a spot of peace and quiet, and an opportunity to talk without interruption about something, we head to the kitchen. It may only be big enough for the two of us to stand in there, but we still find ourself escaping there to catch up on each others days, or even to sometimes eat our dinner without being pestered for something or other. We have grand plans for a bigger kitchen when we move, one that really becomes the heart of a family home. I so hope to make our plans a reality this year, but until then we have to make do. 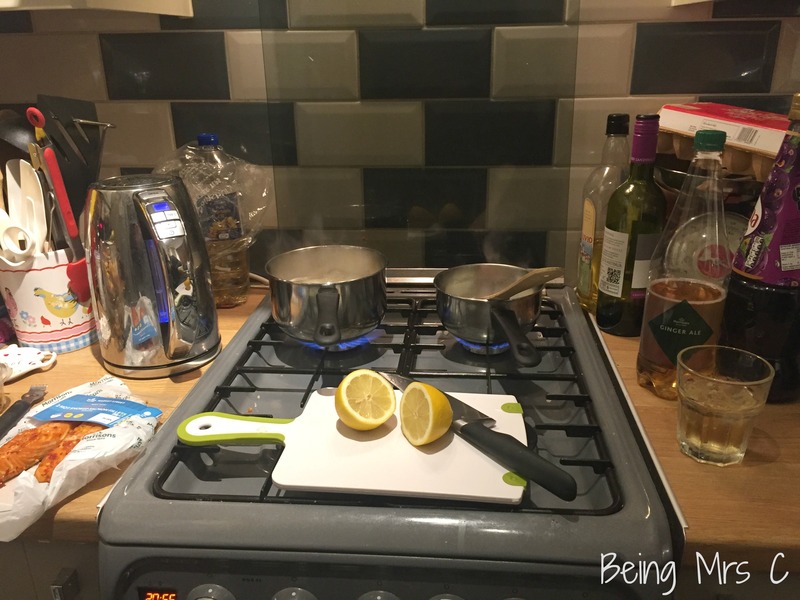 When Britannia Living asked me to cook up a storm in my kitchen in a blog post for them I knew that this was going to be a grown-up stand-up meal that the two of us could enjoy there, rather than a full on family feast. I’m not only limited by space to stand in my kitchen, but also space to cook. I’ve therefore realised that recipes that use a minimum of pans, and where you can do all the preparation in advance, are winners in the space I’ve got. 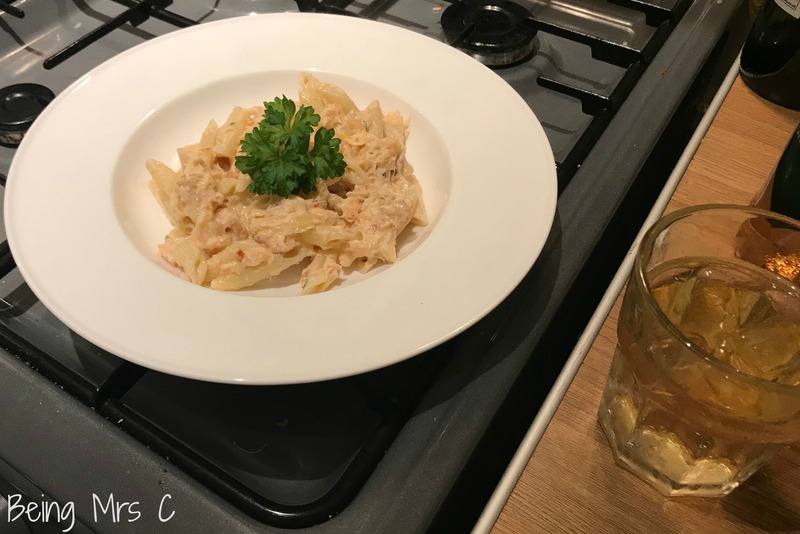 I therefore came up with a simple recipe for Chilli Salmon Pasta, that is incredibly easy to prepare and cook, uses only two pans, and can be eaten stood up in my little kitchen. Inspiration came from Cooking on a Bootstrap’s Creamy Salmon Pasta with a Chilli-Lemon Kick, but it’s not so much on a bootstrap any more! Flake up the salmon fillets and chop the onion and parsley. Zest and juice the lemon. Cook the pasta in boiling water for 10 minutes, or as per the packet instructions. Meanwhile, heat the oil in a second pan and then add the onion, parsley, lemon zest and juice and cook until the onion is softened. Once the pasta is cooked, drain it, return to the pan and them add the contents of the second pan and stir through. Add the natural yoghurt and stir again. Then add the flaked salmon fillets and stir again until combined. Serve with a decoration of parsley and sweet chilli sauce to taste. You could so easily serve this dish up with either a beer or a crisp white wine, but that seems a tad expected to me. I therefore went for something a bit different to accompany it. Gin. But not just any gin. Oh no. 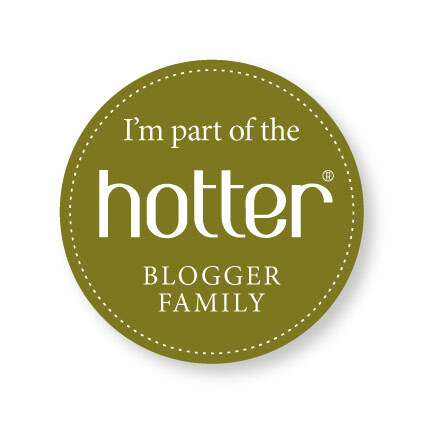 Blogger gin (developed by wonderful fellow blogger T of Mummy Barrow fame). And rather than just pair it with tonic water (which for years has been my way of drinking gin) I instead went for ginger ale (or dry ginger as my Nan always called it) as my mixer of choice. 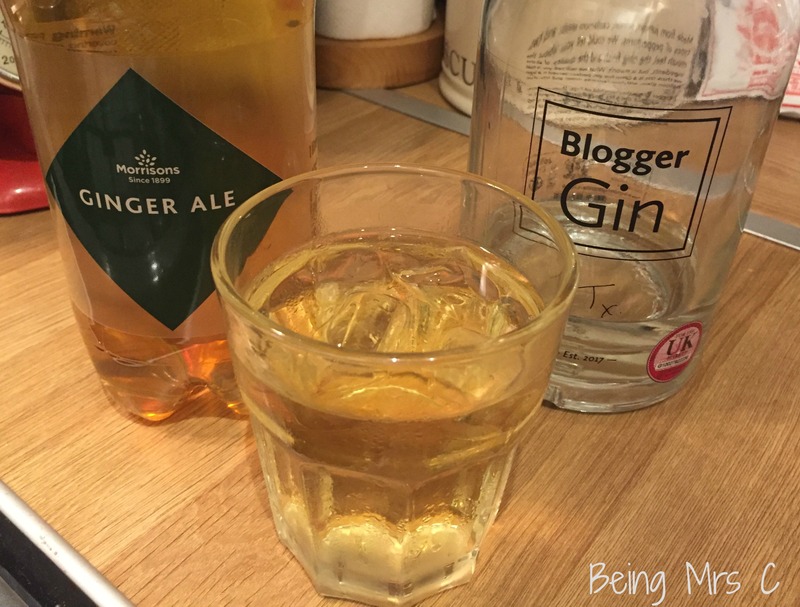 I found that the ginger edge goes really well with the peppery side of Blogger gin, and also works with the kick of the chilli from the salmon fillets in my pasta dish. 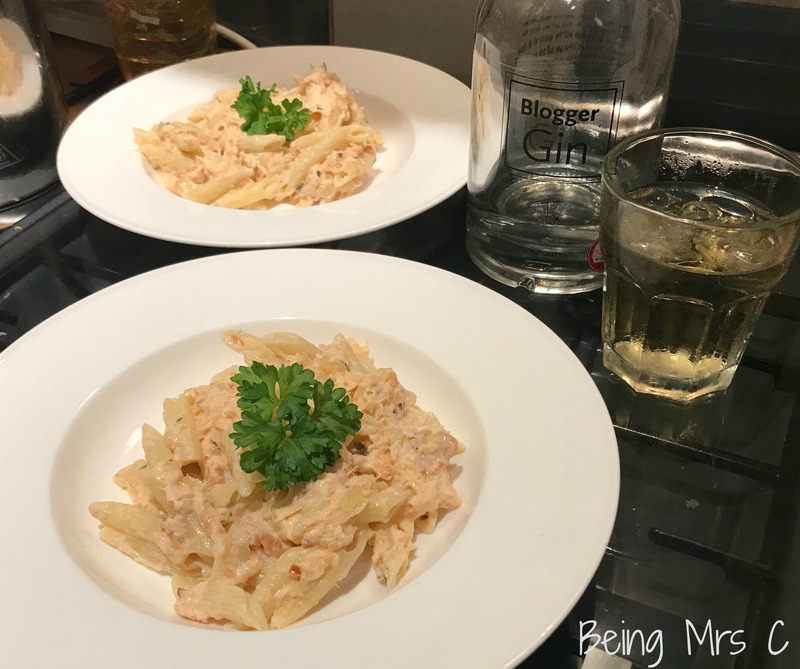 And there you have it – my grown-up stand-up dinner offering – Chilli Salmon Pasta with Blogger Gin and Ginger. Perfect grown-up kitchen fare when you have a tiny kitchen to work with. 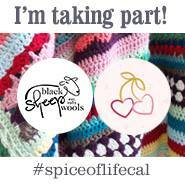 Disclaimer: This post is my entry to the Britannia Living #BritanniaCookOff campaign.